As caregivers, we seek to minimize the risk of anything happening to our children. We baby-proof our homes, travel with the safety of a car seat and call the pediatrician when the fever spikes. All of these are tools to keep our children safe. But accidents are sudden. Emergencies can happen anywhere. Center City Pediatrics and Center City Pediatrics Bala Cynwyd know that CPR training saves lives. The ability to provide immediate care to your infant or toddler is invaluable. This is a perfect course for parents, grandparents, babysitters and caregivers! 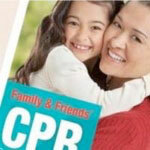 Infant & Toddler CPR is offered monthly, on a weekend. It is a 75-minute, fast-paced discussion and your focus guarantees your mastery of the material. As such, please consider leaving your little ones with another caregiver for the morning. You do not need to be a patient of either Center City Pediatrics or Center City Pediatrics Bala Cynwyd to participate in our classes. Each session costs only $55. Advanced registration is required and space is limited. Please see the calendar for a full listing of class dates and to register online. Center City Pediatrics offers patients and their families access to pediatric care through friendly phone and email access and convenient office hours. Center City Pediatrics is a recognized Patient-Centered Medical Home by the NCQA. © Copyright 2019 Center City Pediatrics. All Rights Reserved. Website Design and Development by GetPhound.